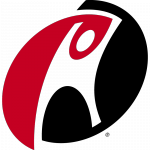 Last July Rackspace added support for Percona Server and MariaDB to their Cloud Databases DBaaS (Database-as-a-Service) product, primarily at the request of application developers who had been requesting more open source database support options. Matt Griffin, Percona director of product management, and I recently sat down with Sean and his colleague Neha Verma, product manager of Cloud Databases. Our discussion focused on the shift to DBaaS as well as what to expect in the future from Rackspace in terms of Cloud Databases, OpenStack Trove and more. Matt: Why did you expand the Cloud Databases product this past summer? Sean: We launched cloud databases about a year and a half ago. Since then we’ve rolled feature after feature (backups, monitoring, configuration management, etc…) focused on simplifying our customers life, this backed by Fanatical support has made the product easier to use and more production ready than ever. We understand that features aren’t enough so in addition to all the features we have also made significant improvements to the hardware and network infrastructure. All this means that we’ve been very busy not just expanding the offering but also making the offering simpler to use, more complete and more scalable. Our vision is to offer a robust platform that with the most popular Big Data, SQL, and NoSQL databases on dedicated, bare metal, and public cloud infrastructure. Matt: What type of customer is your Cloud Databases offering aimed at? Sean: Currently we have a variety of customers running multiple Cloud Database instances ranging from customers running a two-month marketing campaign to customers running web applications, ecommerce applications with highly transactional database workloads. Our customers prefer the simplicity and reliability of the service which allows them to focus on their business and not worry about the heavy lifting associated with scaling and managing databases. Matt: How is your Cloud Databases offering backed-up? Neha: We use Percona XtraBackup to perform a hot copy of all databases on a instance and then stream the backups to Cloud Files for storage. A customer can anytime restore the backup to a new instance. Percona XtraBackup is the only option we offer customers right now. Tom: In terms of security, how do you address customer concerns? Are cloud-based open source databases more secure? Sean: Data security concerns are at an all-time high and we have a number of up and coming features that continue to address those concerns. Today we offer a number of unique features specifically Cloud Databases can only be accessed on the private network so the database can only be accessed by systems on your private network. Additionally, we support SSL for communication between user application and database instance so that any data transfer is encrypted in transit. These features along with the built in user controls and authentication mechanisms help significantly address customers security concerns. Ultimately Cloud-based open source databases or no more or less secure than any other database, security is about more than features it is about the process and people that build and manage your database and we have those more than covered. Matt: Is this for production applications or pre-production? Sean: It’s very much production capable. While there’s a perception that this type of offering would only fit for use cases around test or dev, the truth is we are running hundreds of very large, fully managed instances of MySQL on the cloud. We don’t make any delineation between production or pre-production. However, we’re definitely seeing more and more production workloads come onto the service as people are getting educated on the development work that we’ve done around adding these new features. Replication and monitoring are the two most popular right now. Matt: How are people accessing and using it? Sean: A majority of our users either access the database via the Control Panel, API or a command-line utility. Matt: Since the launch, how has the reaction been? Sean: The reaction from the press standpoint has been very positive. When we talk with industry analysts they see our commitment to open source and where we are going with this. Tom: How committed is Rackspace to OpenStack? Sean: We all live in OpenStack. 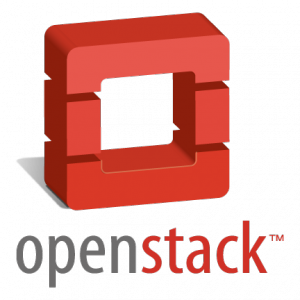 We have tons of Rackers heading to the upcoming OpenStack Paris Summit in November. We’re looking forward to many years of contributing to the OpenStack community. Tom: Last April, Rackspace hosted several sessions on OpenStack and Trove at the Percona Live MySQL Conference and Expo 2014 in Santa Clara, Calif. What are you looking forward to most at Percona Live 2015? Sean: For us, Percona Live is about listening to the MySQL community. It’s our best opportunity each year to actually setup shop and get to learn what’s top of mind for them. We then can take that information and develop more towards that direction. Tom: And as you know we’re also launching “OpenStack Live” to run parallel to the Percona Live MySQL conference. OpenStack Live 2015 runs April 13-14 and will emphasize the essential elements of making OpenStack work better with emphasis on the critical role of MySQL and the value of Trove. I look forward to hearing the latest news from Rackspace at both events. Thanks Sean and Neha for speaking with us and I look forward to seeing you this coming April in Santa Clara at Percona Live and OpenStack Live! On a related note, I’ll also be attending Percona Live London (Nov. 3-4) where we’ll have sessions on OpenStack Trove and everything MySQL. If you plan on attending, please join me at the 2014 MySQL Community Dinner (pay-your-own-way) on Nov. 3. (Register here to reserve your spot at the Community Dinner because space will be limited. You do not need to attend Percona Live London to join the dinner).